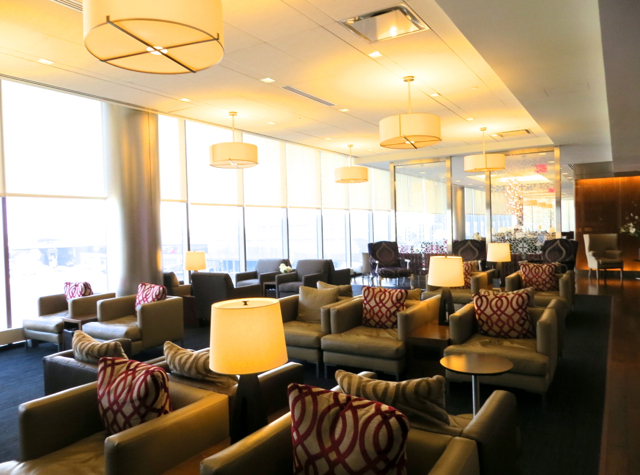 The British Airways Galleries Airport Lounge in Newark is a good deal smaller than its counterpart, the British Airways Galleries Lounge in New York's JFK Airport, Terminal 7. But that was the least of my concerns when I visited a few days ago, since I was just glad to have made it to the airport with some time to spare, given the craziness of getting back from Virtuoso Travel Week in Las Vegas, and within a few hours taking care of some clients, packing and otherwise getting the munchkin and me ready for a trip. Fortunately, unlike the British Airways Galleries Lounge in JFK, the BA Galleries Lounge in Newark is better signed after getting through security. There's an elevator that takes you to the second floor, and even if you've printed out your boarding passes (which is another story, but let's just say I wish BA would make their online check-in compatible with Google Chrome on a Mac) there's no problem gaining access. We were warmly greeted, and the friendly lady checking us in was kind to the munchkin, helped us stow our small suitcase, and after writing out a pass for the First Class Dining Area, showed us the way to the first class dining area. Since we were short on time and the munchkin was hungry, we didn't explore the rest of the Galleries Lounge, but due to its relatively small size and how close in time it was to our flight, it seemed quite full. The First Class dining area, by contrast, had just 1 other couple dining there during our visit, with about 6 tables. She also proactively offered to have the kitchen make something kid-friendly for the munchkin, which was a nice touch. 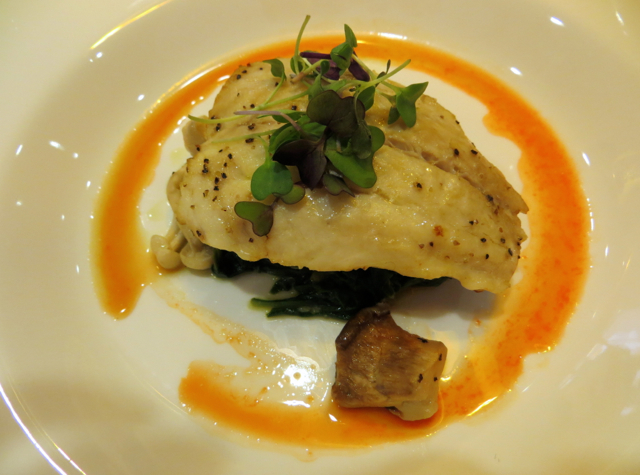 The munchkin took her up on plain pasta with cheese, while I chose the sea bass. While waiting for our food to arrive, I managed to get online (amused that the password was lasvegas, given that I'd just been there) and answered a few emails. The munchkin was very happy with his plain pasta and cheese, and as often happens, he was too quick for me and I wasn't even able to get in a photo before he was digging in. 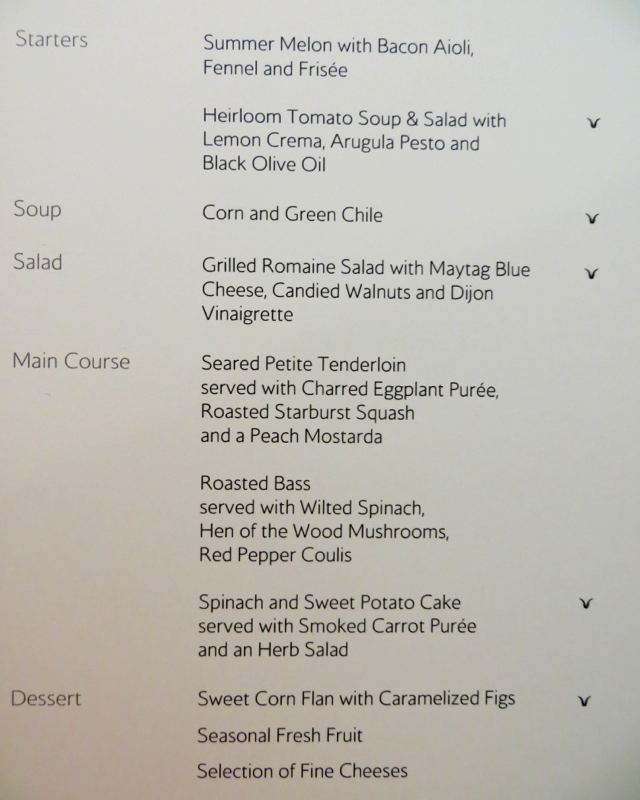 My roasted bass was very good, cooked perfectly, although I wished there were a few more of the delectable hen of the woods mushrooms it came with. As we were dining the first call for our flight came, but our server assured us and the other couple that there would be 3 calls, so we still had time to finish–and in fact the other couple ordered dessert at the time of the first call, and managed to finish it and get out the door ahead of us. The Verdict: The British Airways Galleries Lounge at Newark is smaller and because of this, seemed more crowded during our visit than the British Airways Galleries Lounge at JFK. 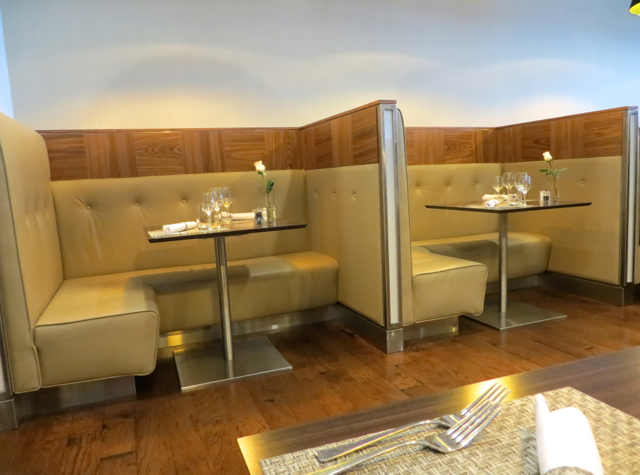 But if you're flying First Class, the separate dining area is nice and better than, for example, the first class dining area of the Lufthansa Lounge in Dulles (see Lufthansa New First Class Review). Wifi worked perfectly, if a tad slow. Become a TravelSort Client and Book The Bellagio with Virtuoso Amenities!